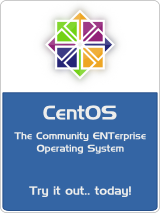 July 9th, 2012 - Today the CentOS Project has released CentOS-6.3. This release came 18 days after the upstream release of EL 6.3. The major issues that we had with getting this release out were getting the i386 distribution to boot properly and adjusting the content of DVD-1 and DVD-2 of each architecture to allow for the most common install groups to come from DVD1 and not require DVD2. Some of the major changes for this release include a move from OpenOffice 3.2.1 to LibreOffice 3.4.5 and the addition of Virtual to Virtual and Physical to Virtual (virt-v2v and virt-p2v) server migration tools to KVM Virtual Machines. Please see the CentOS-6.3 release notes for more information on these and other features. The Open H Website has a very good article on what's new in EL6. We hope you enjoy CentOS-6.3 !